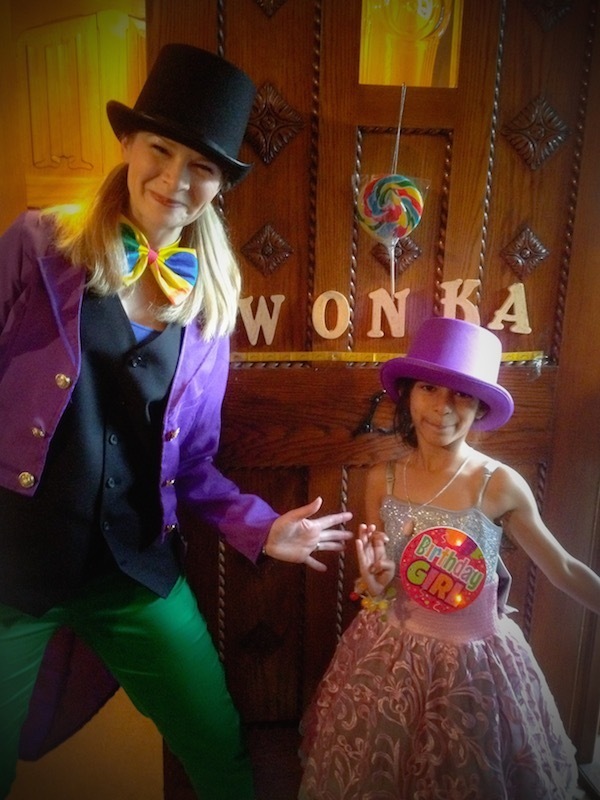 Spellbound Parties are proud to present their brand new ‘Storybook’ themed party; ‘Charlie and the Chocolate Factory’. Invite Willamena (aka Willy) Wonka to guide your guests through the factory doors to meet the Oompa Loompas, take part in the Oompa-Loompa-Lympics, play the Augustus Gloop greedy sweetie game, the naughty Veruca Salt game, roll around like Violet Beauregarde, compete in the Mike Teavee task, visit the bubble room and see if you are the lucky winner of the Golden Ticket pass the parcel! This new theme joins the ‘Alice in Wonderland’ and ‘Harry Potter’ themed parties as our popular ‘Storybook’ themed parties continue to make your guests cheer for more! Q: Why does Alice ask so many questions? A: Because she is in ‘Wonder’ land!